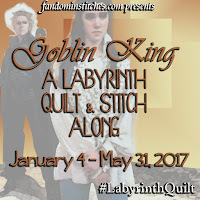 The posts on fandominstitches.com over the past three weeks for the #labyrinthquilt have included not just the character of the week, but also parts of the assembly instructions for the quilt. As you know I'm doing 2x embroidered versions of the quilt. I am determined to have one of those finished with the quilt and stitch along; the other may need to wait a bit to be finished as I have a few other projects and deadlines coming up. I've been a bit slack in posting my pics, so I'm about to make up for that with a series of 3 posts at once and lots of pics to catch up. 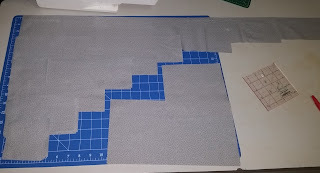 Week 18 of the quilt and stitch along included the Goblin 4 patterns and also the cutting instructions. 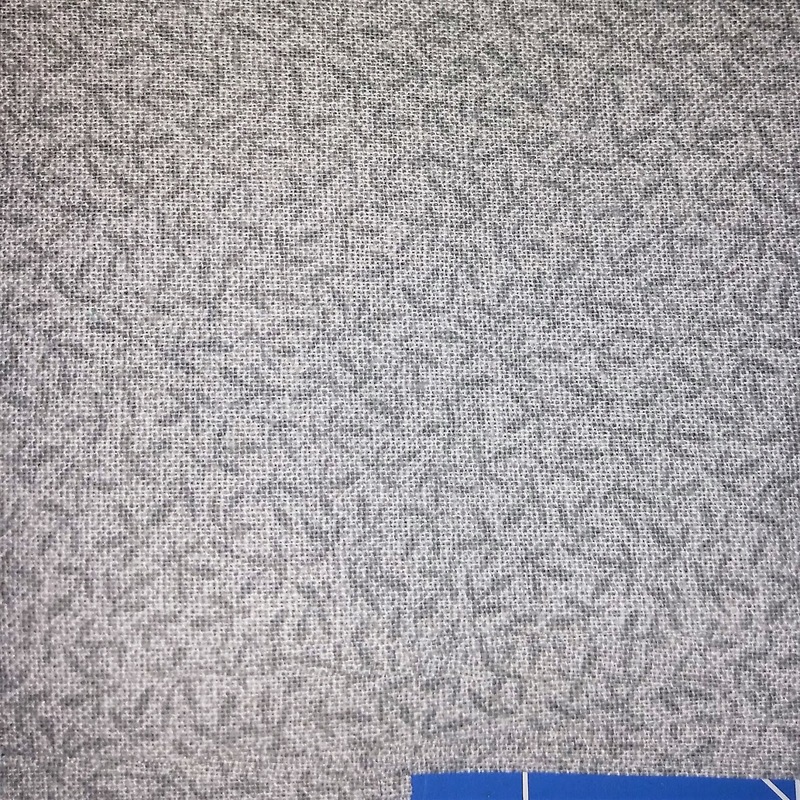 Three different fabrics are required for the finished quilt - a dark, a medium and a light. The light is the background of the pieced or embroidered blocks that we've been making over the last few months while the medium and dark will be sashing. For the light purple blocks I have a picture in my head of the fabrics I want to use for sashing but I haven't been able to get my hands on just the right ones yet, so that is the quilt that will go on the backburner for a little while. Choosing dark and mediums to go with the the white background blocks was easy - I knew right away I wanted black and grey for that one. 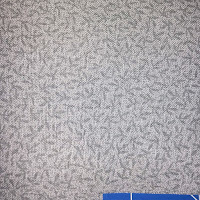 I'm using a black with grey swirls for the dark fabric, and a grey with random small leaf-like pattern for the medium. 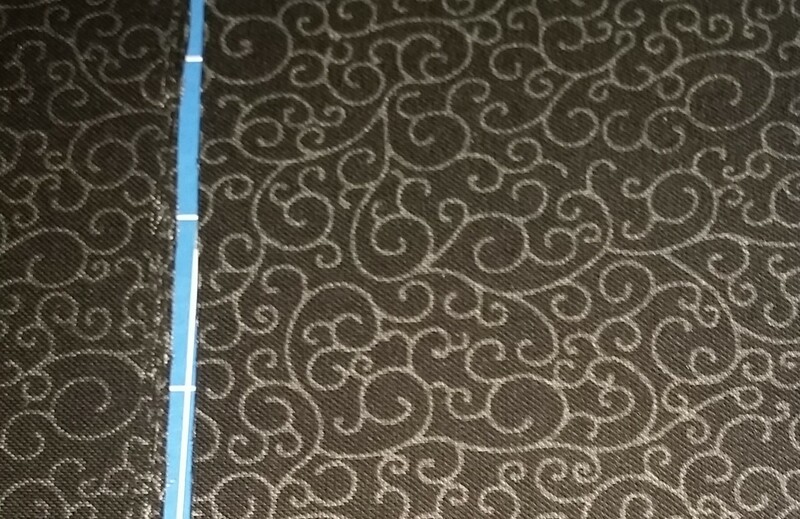 Both of my sashing fabrics are patterned but non-directional so I don't need to worry about making sure the patterns line up when I start putting the quilt together. 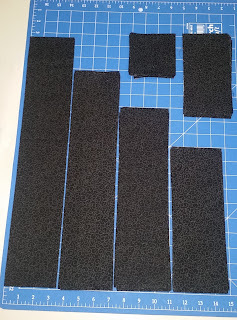 Following the instructions I cut the required 115 variously sized strips of sashing fabric (53 medium + 62 dark). With all of those strips cut, it's time to move on to some sewing!